Blue Ant Extreme, known for its thrilling and action-packed content line-up, breaks the status quo by launching The Xtreme Quest. 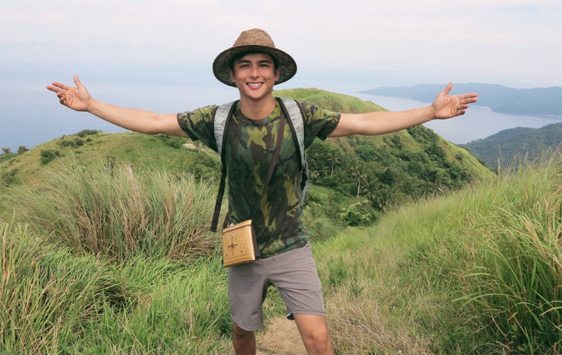 Social media superstar Teejay Marquez joins four other participants from Singapore and Malaysia in documenting their progress as they prepare for a Spartan Race. Challenging people from different backgrounds, the quest’s biggest dare is to take on one of the most brutal obstacle course races, the Spartan Race. This will test the physical and mental capabilities of the five participants who have said #ChallengeXccepted and willingly took on the dare. Happening on Dec. 2 in Iskandar Puteri, Johor Baru in Malaysia, the Xtreme Quest participants are going through an intensive training for four weeks to prepare for the big race. Coming from different backgrounds, the Xtreme Quest participants are Linda Law Na Na and Karen Kho from Malaysia, Novita Lam and Xin Lin Khaw from Singapore and Teejay Marquez from the Philippines. They are all currently documenting their journey and progress to prepare for the race. Those who are looking on taking on the same challenge for themselves will be able to follow the highs and lows of their gruelling experience via their personal Instagram accounts and on Blue Ant Extreme’s Facebook and Instagram pages. “We, at Blue Ant Extreme, continuously brings excitement to our followers and viewers. The Xtreme Quest aims to light up our thrill-seeking side and inspire all of us to push further and discover that we are capable of so much more than we think, and that we can go beyond the limits we set for ourselves,” said Beatrice Lee, CEO, Blue Ant Media Asia Pacific. “We are very excited that our participants have accepted our challenge and are eager to conquer the Spartan Race. We hope that by doing this challenge, we reach out and encourage more people to be more daring and be ready to face the extreme challenges that will come their way,” Lee added. Participant from the Philippines Teejay Marquez (@teejaymarquez), said that he has been looking for something new to try and something that will push him to his limits and get him out of his comfort zone, and seeing some of his friends do the Spartan Race got him interested which led him to saying yes to the Xtreme Quest. Follow Karen, Nana, Novita, Xin Lin, and Teejay on their Xtreme Quest journey on their social media handles, on https://www.facebook.com/blueantextreme and on @blueantextreme on Instagram.